I.B.M. 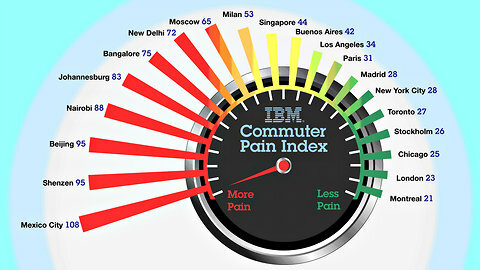 recently released its fourth annual Global Commuter Pain survey, which looks at the connection between traffic congestion and the stress it causes commuters in the world's largest cities. This year’s survey is based on responses from 8,042 commuters in 20 cities.